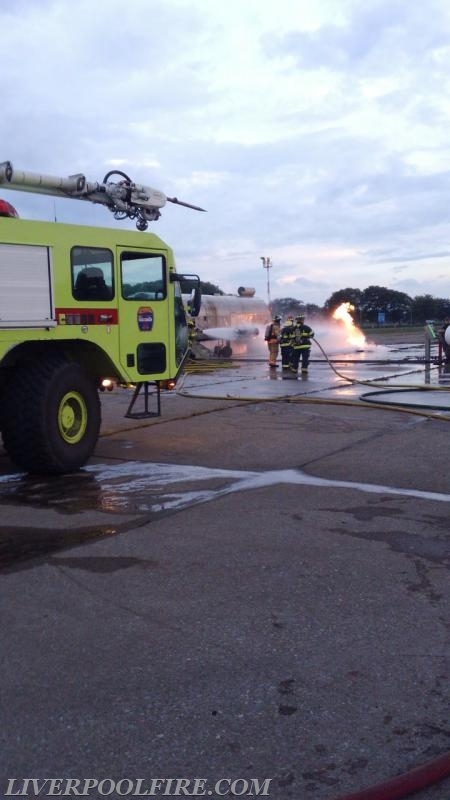 On Friday August 17, the Liverpool Fire Department participated with other county departments in a live fire training at the Syracuse International Airport. 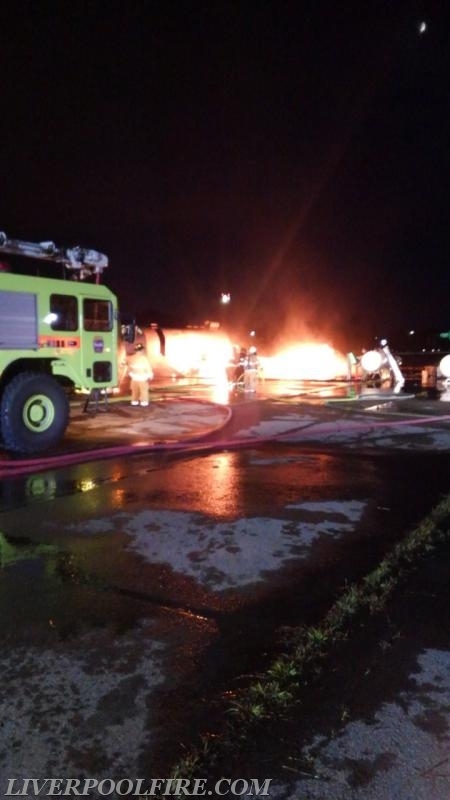 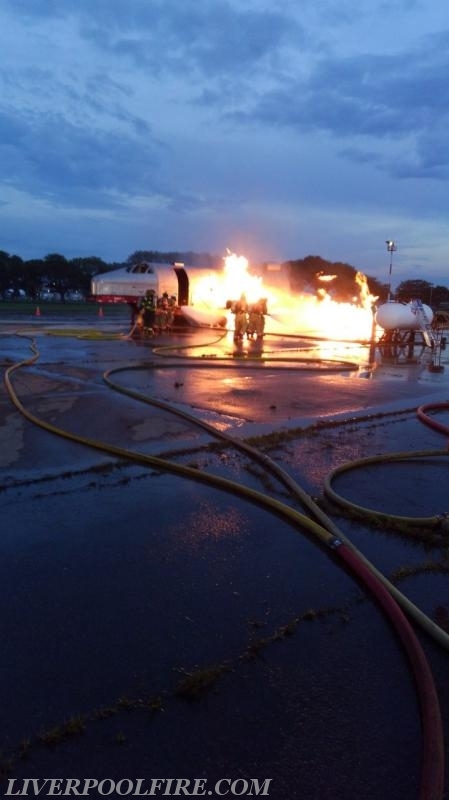 Members of the Syracuse Fire Department AARF Unit trained County Departments on the proper response to Airplane Crashes and handling Jet Fuel fires. 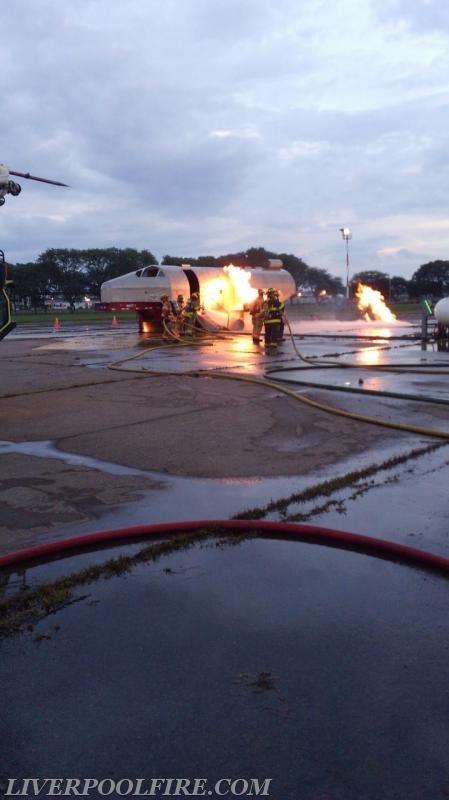 A fuselage prop was used for the training.